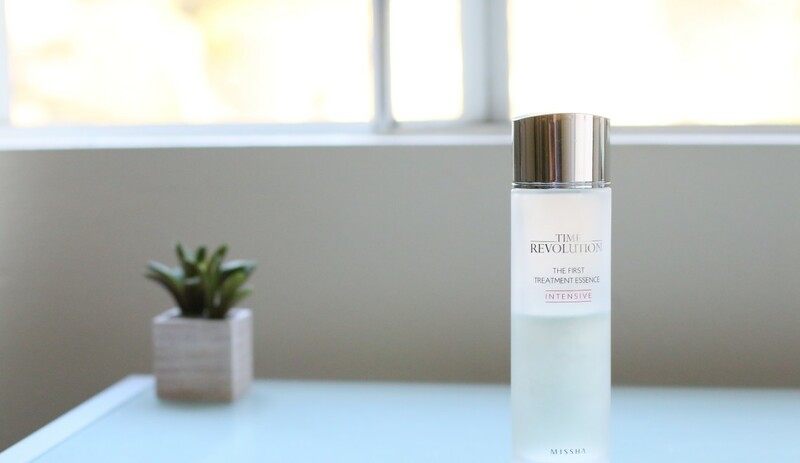 I first came across Missha’s Time Evolution First Treatment Essence when searching for an alternative to the (very expensive) SK-II Facial Treatment Essence. I really like to use the SK-II Facial Treatment Essence, but a 160ml/5.4oz size runs $179 at Sephora, which is difficult for me to justify every other month. I looked up alternatives on blogs, forums, reviews, and came across Missha. Missha is a Korean brand and offers a wide range of skincare and beauty products. Their “Sheet Mask Cafe” just opened online and offers a wide variety of facial sheet masks. I haven’t tried their masks, as I was primarily interested in the First Treatment Essence, which many people liken to the SK-II Facial Treatment Essence. Upon first glance at the comparison, you can see that 1) the first ingredient on the list is the same for both products and 2) SK-II is more than 3x the price of Missha. Fun tip: Like food, skincare product list ingredients by quantity. So, if the first ingredient listed is water, for example, then you know there is more water than anything else in the product. The first ingredient listed for both the products is Saccharomycopsis Ferment Filtrate. Now, the marketing folks over at SK-II must know that this ingredient is not very consumer friendly, so they coined another name for it, which is Pitera. Now, what exactly is Pitera? Simply put, Pitera comes from fermented yeast. The story of SK-II is traced back to a sake factory, where scientists looking for a “miracle” ingredient that helps keep skin supple and young noticed the stark contrast between sake brewers’ wrinkled faces and their soft youthful hands that came in constant contact with the sake during the fermentation process. The journey to discovering Pitera involved analyzing over 350 yeast strains to find one suitable for skincare. Pitera is essentially SK-II’s hero ingredient, and the same ingredient can be found in Missha’s First Treatment Essence. Now, the ingredient list isn’t identical, you can see there are more ingredients found in Missha. 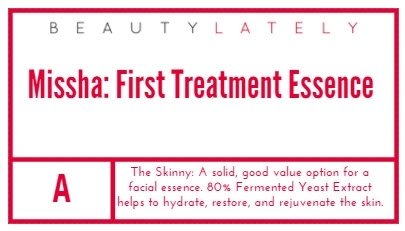 Missha’s First Treatment Essence contains 80% Fermented Yeast Extract, and is meant to be the first step of your daily skincare routine (after you wash your face). The frosted glass bottle feels similar to SK-II, and is a nice weight. The box that it came with isn’t anything special, and is easy to pour onto a cotton pad for use. The scent of Missha is less strong than SK-II – if you’ve used SK-II, then you know that the Facial Treatment Essence has a very distinct scent. Some people are put off by it, and some people do not mind. 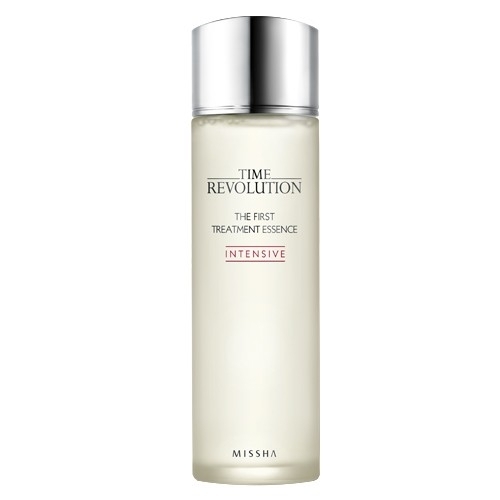 Missha’s First Treatment Essence is much more subtle and mild, which I appreciated. It leaves the same hydrated, slightly tacky feel on the skin right after application, but absorbs quite quickly into the skin thereafter. I like this because I want to make sure my skin is sufficiently hydrated, both at night or before makeup application in the morning. After going through half the bottle, I’m happy to report that I’ve been very happy with this product. Even though it’s supposed to be used as the first product in my routine, I actually use it after SK-II’s Cellumination Mask-In Lotion, since that product is supposed to be used before SK-II’s Facial Treatment Essence. Especially given the price and performance, it’s a more budget-friendly alternative to SK-II. Don’t get me wrong, I really like SK-II and use their other products, but the Facial Treatment Essence is something I go through rather quickly and just can’t see myself paying almost $200 every other month. If you have the means and SK-II Facial Treatment Essence is your jam, then by all means go for it, it’s a terrific product. However, since both SK-II and Missha’s first ingredient are the same, I think I’m happy sticking with Missha for the time being.